For its price, the Kia K900 that was launched in 2015 did an amazing imitation of luxury sedans with excellent pedigrees. That’s a big reason why it was named a Consumer Guide® “Best Buy” in the premium-large-car class right out of the box. If the K900 had any notable want, it was the lack of a V6 alternative to the 420-horsepower 5.0-liter V8 that was its sole engine for its first season. The K900 V6 comes standard with 18-inch alloy wheels. Consider that issue addressed. The big news for the kingly Kia’s second season is the arrival of a V6 available in two trim levels that makes the car cheaper to buy and more economical to run. The K900’a cabin is finished appropriately for the premium car class, though we did take note of the hard-plastic door tops. Prices for the V6 K900 start at $49,000 for a Premium-trim model. The Luxury-level model that CG tested had a base price of $54,900. That’s a pretty good leap, but it’s still $7000 less than the tab for the V8, which is equipped only as a Luxury model. The 311-horsepower 3.8-liter V6 cedes 109 ponies to its costlier kinsman. Still, it delivers lively performance, especially on the highway, with timely kick-down from the eight-speed shift-by-wire automatic transmission. 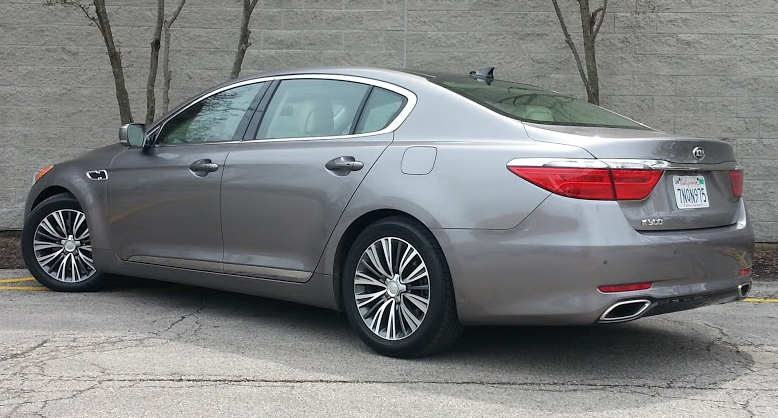 (All K900s have rear-wheel drive.) Variable drive modes, summoned by a button on the console, include “Sport,” “Smart,” and “Eco” settings in addition to the base arrangement in effect at start-up. For those who need a little more out of the V6, Sport tweaks things a bit by delaying upshifts somewhat. Where the V8 comes with EPA mileage ratings of 15 mpg in the city and 23 mpg on the highway, respective V6 estimates are 17 and 26. In a limited stint of 55.8 miles, 70 percent of it in city-type driving, this driver averaged 19.0 mpg with the V6. That’s close to the EPA’s city/highway-combined projection of 20 mpg—and more than 2.5 mpg better than he got when testing a 2015 V8. Though equipment levels are slightly different between the V6 Luxury and V8 cars, the overall driver and passenger experience is quite similar. Even if not at class-leading levels (and this is a group that includes some products that sell for six figures), ride is tuned for cushy comfort and the cabin is admirably quiet except when the V6 is being pressed to get going on the highway. Upholstery and surfaces like doors and the dash are pleasing to the touch (though door tops aren’t padded like the door centers and armrests are). Smooth Nappa leather covers the seats, and genuine wood accents are found throughout the interior. The K900’s generous interior dimensions provide lots of stretch-out room for legs. Headroom is pretty good, too, though better in front than in back. 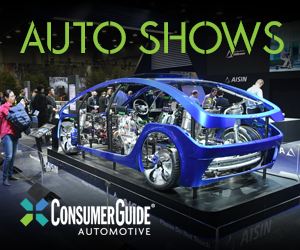 (Worst in that respect is the middle rear, where an adult may be forced to bear the brunt of the panoramic sunroof while straddling the driveline hump.) Entry and exit require no gymnastics, but the slope and width of the rear roof pillars complicate driver vision to the corners. Front and side pillars are somewhat meaty, too. Rear-seat passengers enjoy limousine-like stretch-out room. To hold the things passengers like to bring with them, there are two covered cup holders in the console, a good-sized cubby under the center armrest, a useful glove box, and expandable hard-sided map pockets in the doors. A retractable lid at the front of the console opens to reveal a power point and ports for a USB connector and auxiliary jack. Rear-seaters are served by pockets on the backs of the front seats. There’s also a pull-down center armrest with covered storage; pop-out cup holders; and controls for climate, seat heat, and lumbar adjustment. A haptic control on each rear door guides the optional reclining-seat feature. The trunk is big with a flat floor. 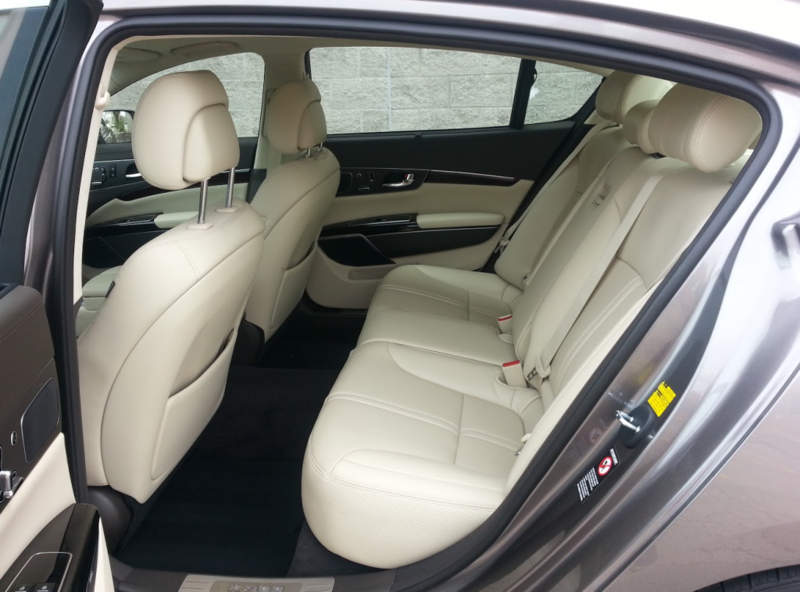 Like most large sedans, rear seats do not fold but a ski pass-through to the rear-seat area is included. 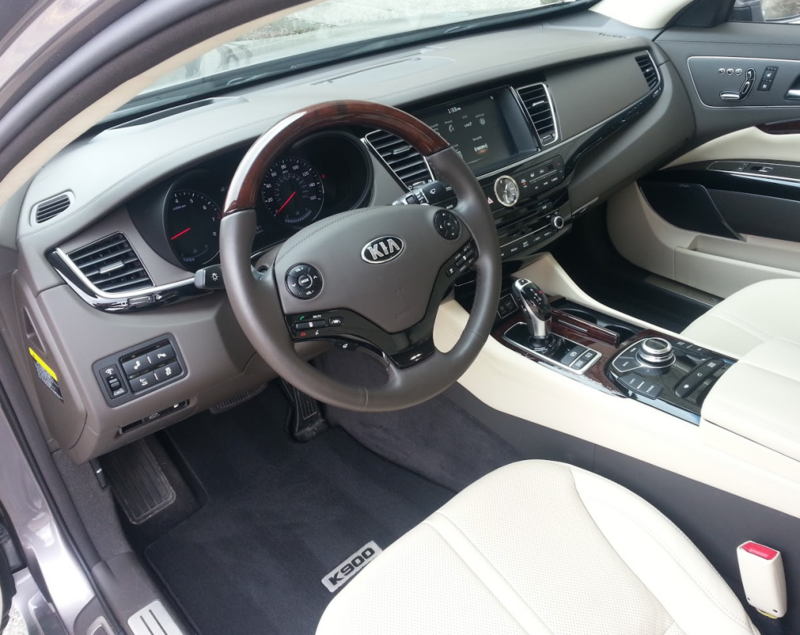 The standard-equipment list begins with tri-zone automatic climate control, easily programmed surround-sound audio, satellite radio, Kia’s UVO infotainment system, Bluetooth phone and audio capability, a navigation system on a 9.2-inch touchscreen, and front and rear camera displays and parking sensors. Front and rear seats are heated—and they’re ventilated in front. 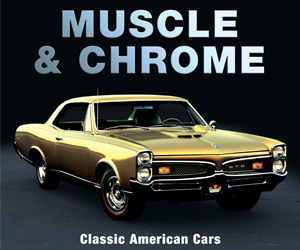 Also included are a power trunk closer, power back-window shade, panoramic sunroof with power shade, and automatic rain-sensing windshield wipers. Wheels are 18-inch alloys with a painted finish. The CG test car was kitted out with the V6 VIP Package, a $5000 option. That buys adaptive cruise control; blind-spot, rear cross-traffic, and lane-departure alerts (all standard on V8 models); head-up display; surround-view exterior monitor; “soft-close” power door latches; driver’s seat cushion extension; power front headrests; lateral-adjusting rear headrests; and ventilated power-reclining rear seats with lumbar support. Only then—and with the delivery charge tacked on—does the V6 K900 crack $60,000, coming in at $60,850. 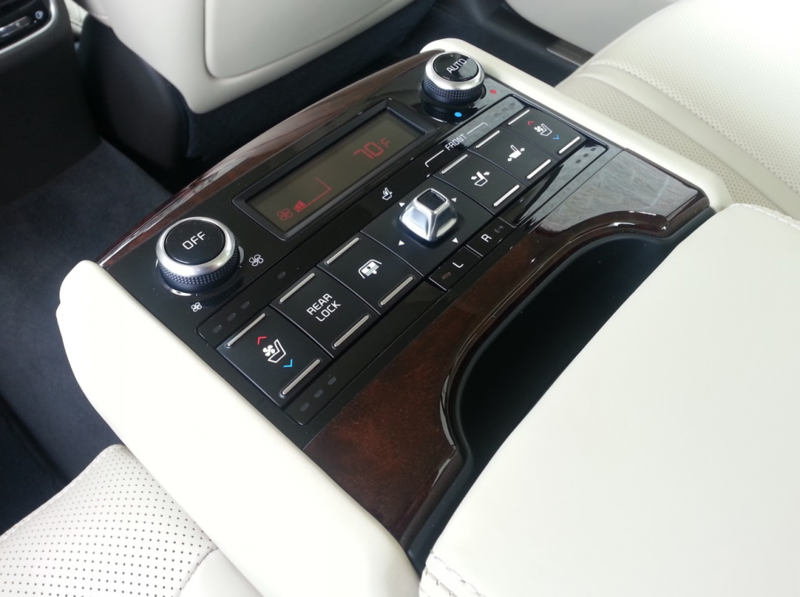 Rear-seat passengers can attend to their climate and comfort needs via a control panel mounted in the center armrest. Other producers of large luxury sedans like BMW, Jaguar, and Cadillac have V6 offerings that boast more power with higher levels of refinement, to say nothing of lofty reputations. Still, only Kia comes so close to matching them while staying so low in price. 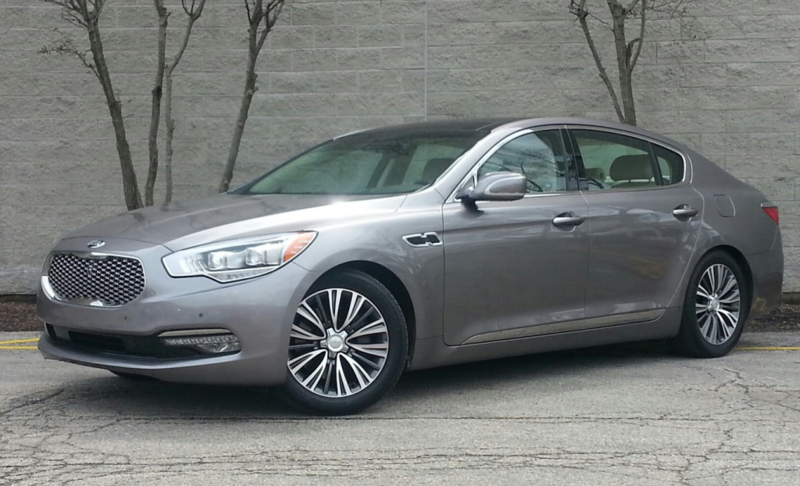 Consumer Guide’s test Kia K900 arrived in Mineral Silver, a no-cost color option. Written by: The Daily Drive staff on May 5, 2016.on March 20, 2018.